I've received my share of thoughtful gifts in my life. But when someone gives me a beautiful bundt cake pan (and I'm talking beautiful here, truly. I would be displaying it if there were a single available inch of display surface in this little apartment.) 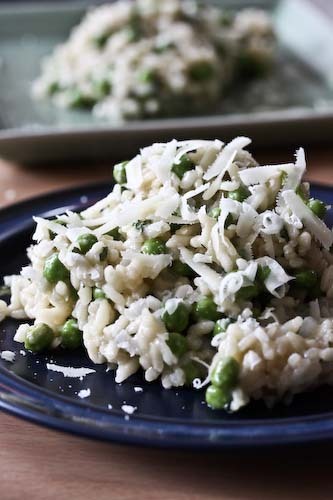 and a tried and true recipe for putting it to use, well, that just about tops everything. My Aunt Karen did just that when she found out I was engaged, all the way back last October. And I would have put this pan to use much, much earlier, except that there are only two of us living here. Two people with little will power means an entire bunt cake would have been consumed in one day. And half a bundt cake is too much, even for me. So when we finally convinced some friends to come over for dinner (you wouldn't think it would be so hard, but I have a feeling most people think we're extending empty niceties when we invite them, instead of honest to goodness invitations) this was always going to be dessert. Have you ever had a wine cake? This was my first time, and I have to say Aunt Karen sure knows how to kick it up a notch. Although I've never sampled one, I've seen other wine cakes that get their names from the 1/2 cup or so of wine in their batter. This one, however, also sports a glaze made from wine, sugar and butter not only on top, but inside. When the cake is pulled from the oven, it gets a few good jabs from a wooden spoon, then half the wine glaze is poured into and around the holes. There's nothing to do but watch the cake greedily absorb its liquor, before you turn it out onto a serving plate and drizzle the rest of the glaze on top. And this, my friends, is a lot of glaze. it puddles and pools, dripping down sides and into creases. Ragnar actually broke out the turkey baster to collect the glaze from the cake's center and redistribute it back on top (genius use of a turkey baster, by the way). And you know, it's a strange fact that this was actually the first time I've made a cake from a mix. I've made plenty of cakes from scratch, creaming butter and sugar and all of that, and I think it's still my preferred way to go. But this one does not taste like a box mix. Absolutely does not. And it was met with so many oohs and aaahs (not to mention the fact that is was decimated by 4 people in one sitting) that it will never occur to anyone to ask. Combine all of the ingredients in a bowl and beat well with an electric mixer. I beat for about 5 minutes. Pour the batter into a 10" bundt pan which has been well greased. Bake on 350F for between 45 and 50 minutes. In a medium sauce pan over medium heat, stir the butter together with the water and wine until it is all dissolved together. Add the sugar and continue stirring until it is also dissolved. Increase the heat and bring to a boil. Remove from heat and set aside as you take the cake out of the oven. Remove the cake from the oven, and, using the handle of a wooden spoon, poke holes in the bottom. Pour 1/2 of the glaze over and around the holes and let the cake absorb the glaze. 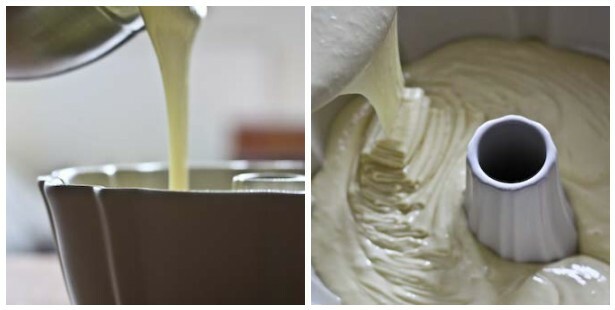 Invert the cake onto a serving dish, and drizzle the rest of the glaze on top. You may need to do this in several batches. Serve and enjoy. wine cake? hhhmm.. it sounds that I should give the recipe a try. thank you for sharing. I must try this one. Beautiful and sounds delicious. Anonymous, good catch. 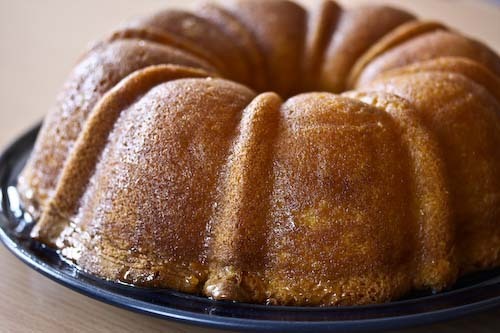 Would you believe that I type all of my posts in word first for the spell check and it was taking my "d" out of "bundt" cake? It's true. But I've fixed it now. Typos drive me nuts! LOVE this cake. It looks so pretty and quite original .. butter wine glaze, that alone sounds delicious! We make this exact same cake...but with rum. 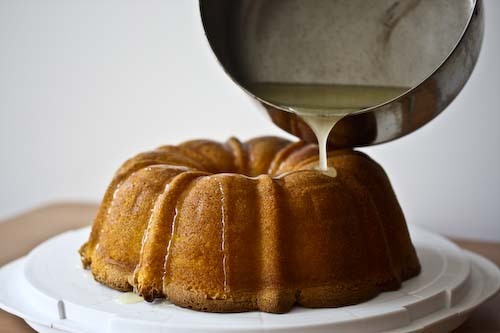 Rum cake with rum glaze. Kinda want to try with tequila and tequila lime glaze. But I will definitely try it with wine! My friend made a wine cake with a butter wine glaze but would not share the recipe! She probably got it from your site. I don't like people that won't share either! Love your blog! Good recipes with a lil humor thrown in! My husband recently retired from construction and now is very interested in cooking and baking! Who would have guessed it??!! Your recipes look great for him. Thanks so much! I've NEVER posted before! How absolutely heavenly!! I am still so impressed by your amazing energy level - baking cakes and raising a beautiful baby all at once! You're incredible! This is a very old recipe that originated with Duncan Hines. In fact the recipe is on their website. Aunt Karen left out a crucial ingredient -- 2 teaspoons of cinnamon go into the cake batter..